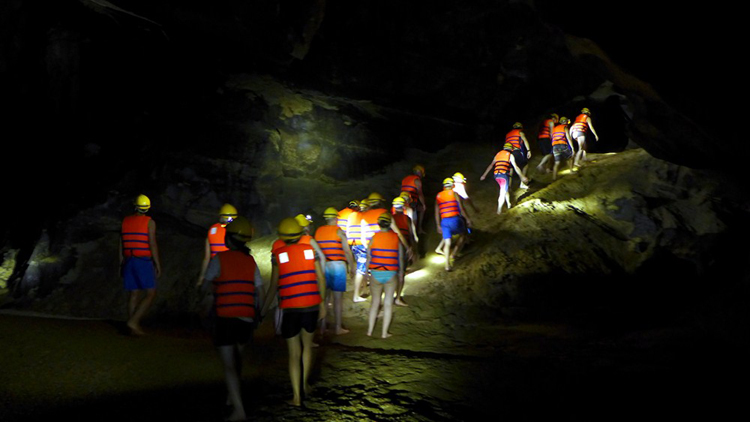 Explore a vast network of caves in Phong Nha Ke Bang National Park on a 2-day tour from Dong Hoi. Phong Nha Ke Bang national park is one of those must visit places, at least once in your life. 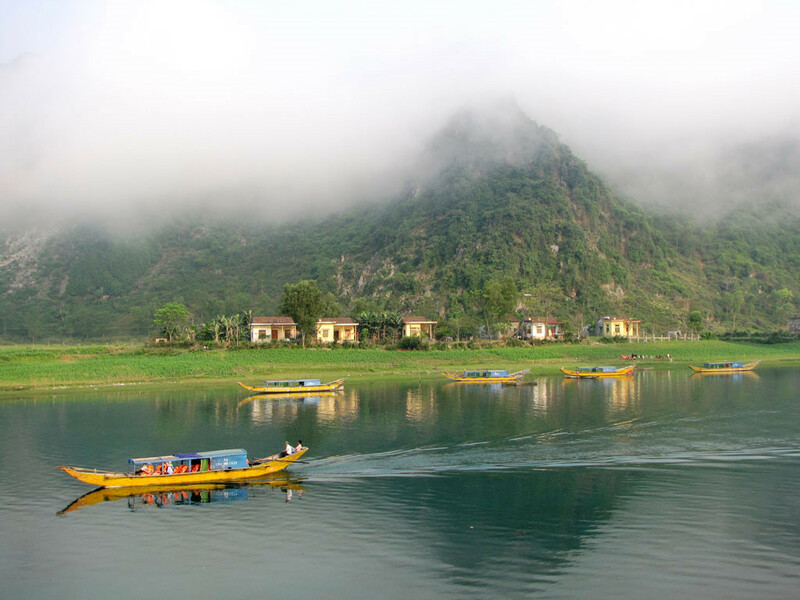 Mountains, lakes, caves, jungles, extremely exotic and endemic wildlife.. this place has it all. Phong Nha is still new to tourism, so the natural beauty still remains. The national park has many spectacular caves to explore, and the biodiversity. You are sure to learn about animals you never knew existed. Day 1: Phong Nha Cave and Botanic Garden. Overnight in Hotel. 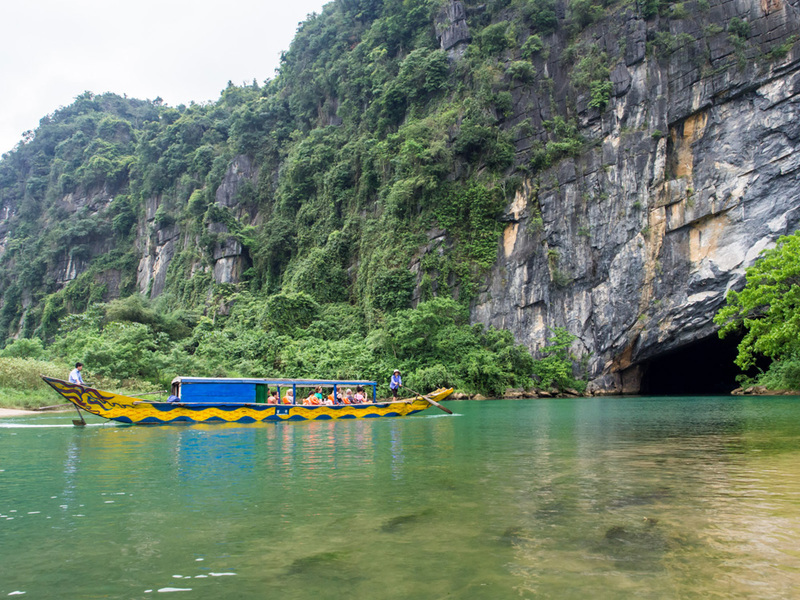 Visit Phong Nha Cave is by taking the traditional dragon boat from the Xuan Son boat dock. The locals will drive you up the river. 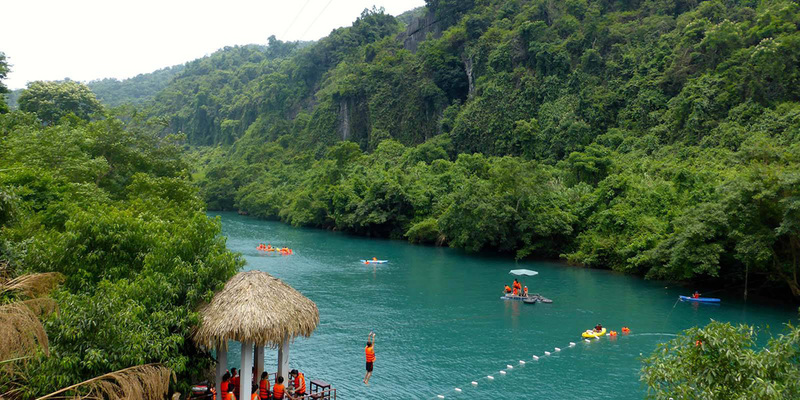 You will be rewarded with stunning views of the natural Karst mountains and of course, of the local river life. Noon Enjoy lunch at a local restaurant. Continue the journey to visit the Botanical Garden eco-tourism and environmental interpretation site in the Phong Nha Ke Bang National Park. 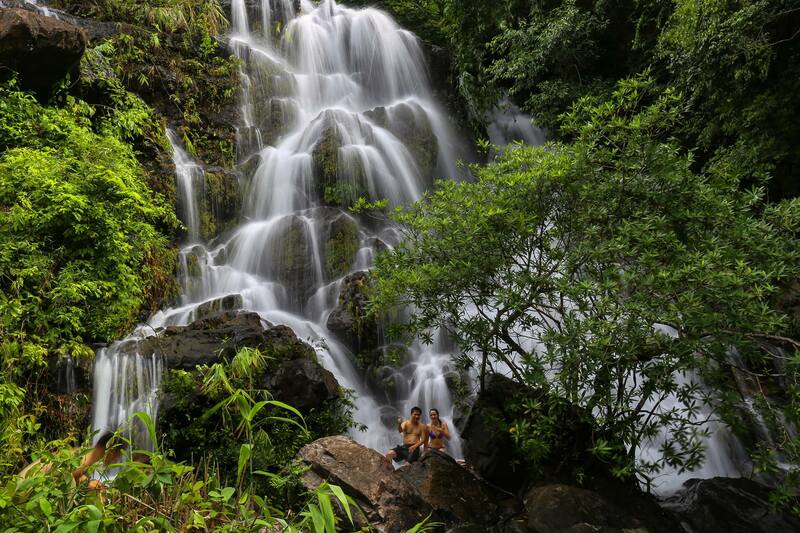 Located in the centre of the national park, the botanical garden is a natural forest with six major tourism sites: the 30-metre high Gio (Wind) Waterfall, Vang Anh Lake, a specimen showroom, a 3km natural pathway, plant nursery and precious and rare plant areas. 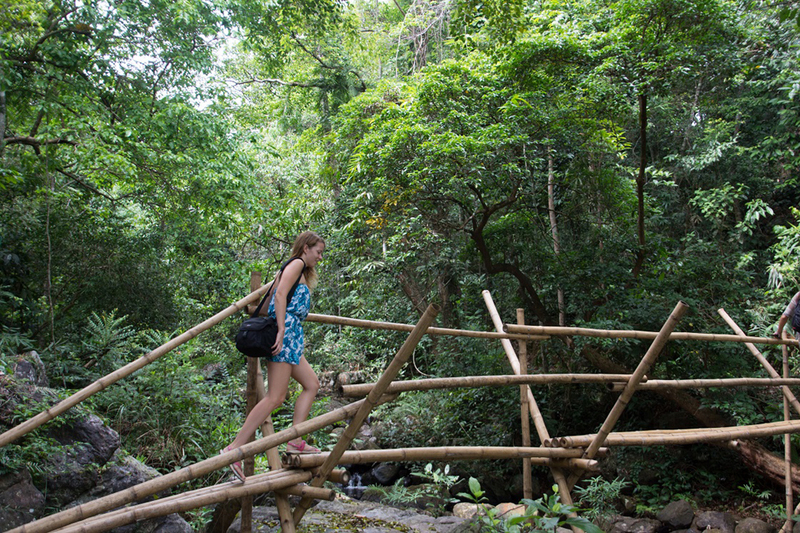 Walking on the pathway, tourists can see monkeys and porcupines in the wild and in a semi-wild zone. Coming back the hotel at Phong Nha town/Dong Hoi city, check in hotel. Evening Free dinner (Pay by yourself). Overnight in the hotel. Have breakfast at the hotel and check-out hotel. 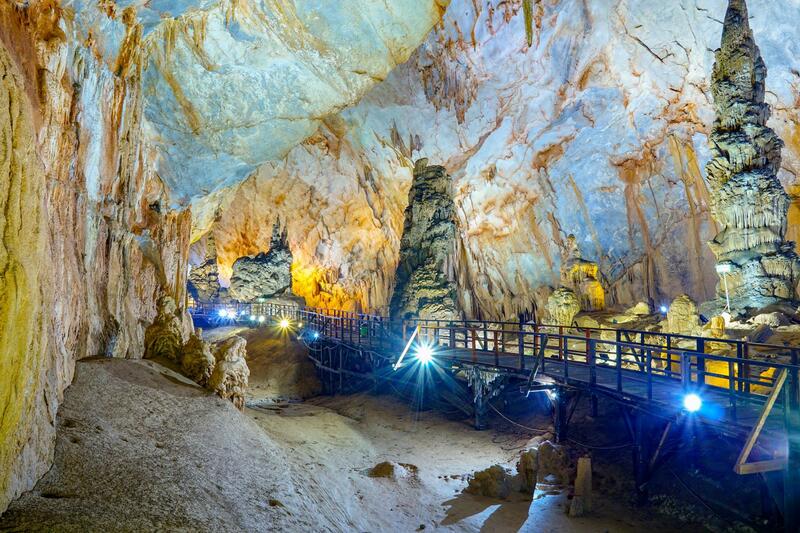 Paradise Cave is the longest dry cave in South East Asia with a length of 31.4 kilometers. Visitors get the chance to visit 1 km into Paradise cave on foot. Being with the system of splendid stalactites and stalagmites, Tourists will admire the wonderland. A truly unique experience. 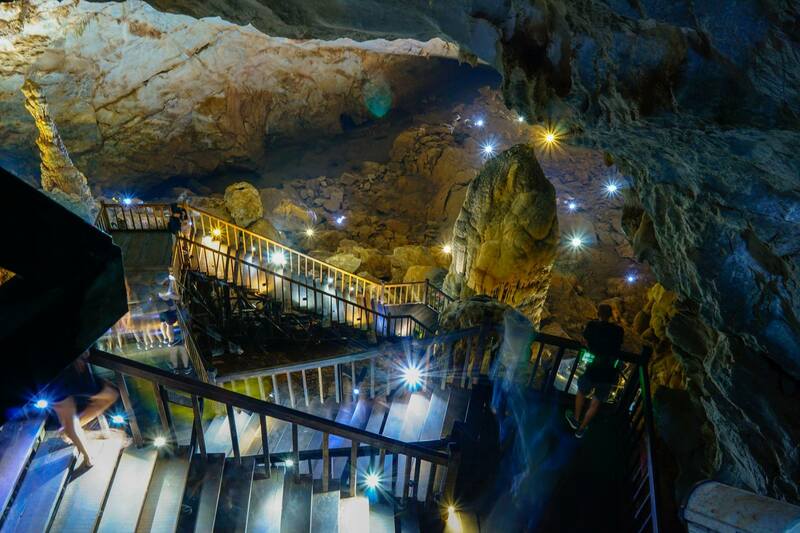 Become true cave explorers and enter the depths of the dark cave, equipped with specialized equipment visitors will now travel throughout the entire cave and embrace its darkness…and beauty! There are many unique aspects to the Dark Cave compared to other caves. For instance: there is a natural Mud Bath inside the cave! 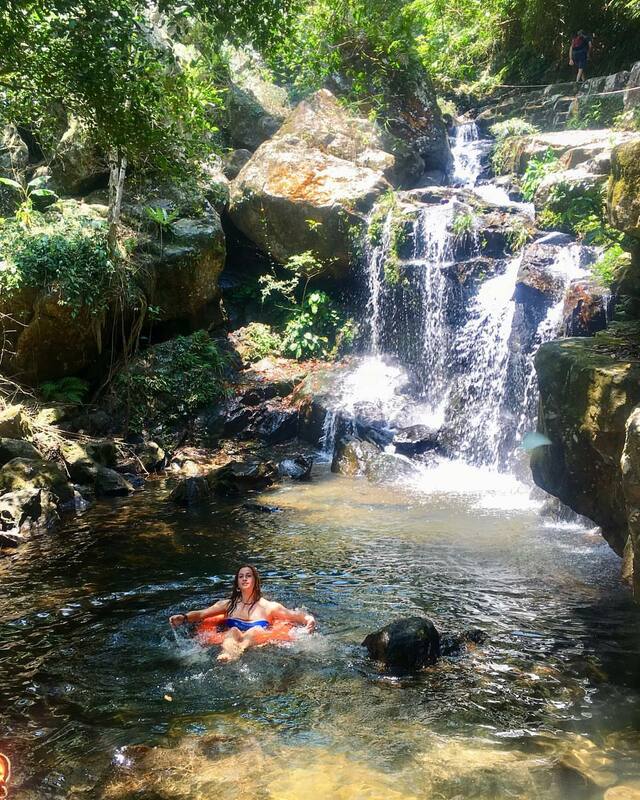 And after discovering the Dark Cave visitors can enjoy the tranquillity of the Chay River or play adventurous games, take a zip-line ride. 3 star hotel: Anh Linh 2 Hotel; Cao Minh Hotel; Quang Phu Resort; Phu Cuong Hotel; CKC Thien Duong Hotel; Amada Hotel... at Dong Hoi city. Heritage By Night Hotel, Sai Gon Phong Nha Hotel at Phong Nha town. 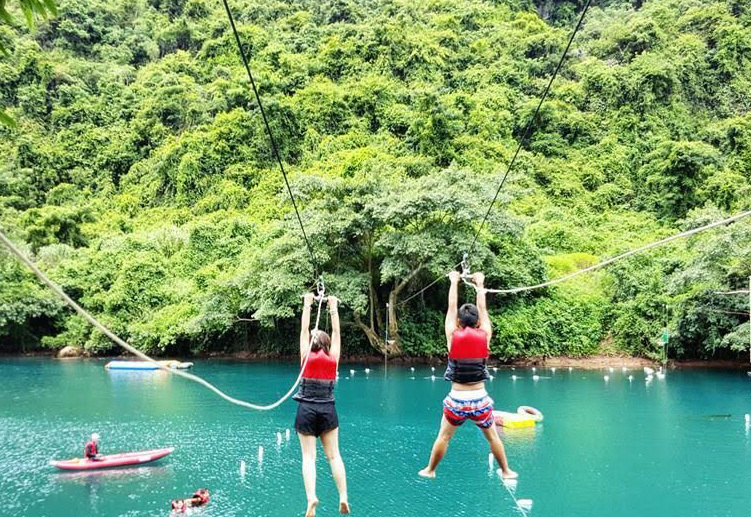 02 meals (Lunch): 150.000 vnd/ pax/ meal (≈ 7 usd). .
Zip-Line to the Dark Cave door. Use sports shoes or soft shoes suitable.